Words from an actual insurance agent:The industry is flawed? Folks around here would know that i am a proponent of Term Insurance over Whole Life for most cases. You can read my insurance philosophy which i have written 3 years ago here. Today i cam across this mail to Mr Tan Kin Lian on his site. It simply states that if you are an insurance agent and you focus on selling term insurance, which is cost effective for your customers, you have to sell a substantial amount of it so that you can make a living. Basically, what is good for your customers do not actually pay you as an agent well. I am not so sure about that. My AIA agent used to tell me that the first year premium for the term he earns 90% of it. thats pretty good if you can sell alot of those. As im currently a new agent with one of the big insurance companies in Singapore, im finding its a lot different from what I was told or expected. For example at the start we were told to emphasize needs based selling in order to meet the needs of our clients (basically what the MAS regulations said). Later I found out that nobody does needs based selling and all we do is get clients to sign on empty forms so we can go back to the office to fill them up later. End result : Client is clueless about what their needs are and how we are meeting them, if at all. Instead of talking to them about what THEY want, we spend our time giving presentations about interest rates and talking about how our relative racked up a huge hospital bill without insurance to pay for it. The commission structure is also highly flawed and contributes to the high turnover rate of agents in the industry. There is absolutely zero incentive or point for agents to recommend products with lower commission rates. In fact, meeting a client to sell a term plan actually loses an agent money(unless it is a very big term plan) because the commission rate is simply not high enough to pay for the time + bus/MRT fare involved. In my case, neither I or my colleagues were ever given product training on anything but the products with the highest commission rates. Also, this is actually a job that requires you to spend money in order to make money. The problem is that for most new agents, they will not be able to set sufficient appointments or close enough cases to make money for the first 1-2 months at least, unless they have a lot of contacts who are interested. The end result is they spend hundreds of dollars in food and transport expenses, and in the end all they keep hearing is “I’m not interested”, and quit because they are heavily in the red and still can’t find people who wants to buy insurance. It would be better if new agents were given a basic allowance of $400-500 for living expenses till they are seasoned enough to close cases on a regular basis. With the high turnover rate of agents in the industry there is a high incentive to simply not train agents properly since a manager is spending too much time training someone who, according to statistics, will quit in a month or two anyway. Simply give them basic training, send them on whatever appointments they can make, and see if it works out. If not, oh well, go recruit more people. I was given a few days of training total, only a few hours of which was product related, and was told to go to my first appointment with the aim to do a presentation and simply convince him to buy and not ask questions. I ended up making stuff up when the client started asking about things I was not taught about. I felt pathetic. As it is I am currently in the unenviable situation where I spend money travelling back and fro my office, making phone calls, doing surveys, doing coldcalls, mainly to hear phones ringing that people never seem to pick up (I never had any idea how under-utilzied handphones were in Singapore before) and I am not even able to set a single appointment because people keep postponing or simply dissapear off the radar and never pick up their phones again. All of this is costing me money and worst of all I cannot see a way to improve my situation. I do not have any senior agents I can look to for guidance since they are all busy rushing to meet quotas and my manager just keeps telling me to go out, do more surveys, make more phone calls, find and meet people, etc, but it is simply not working. I have no clue where, exactly, I am supposed to find people interested in buying insurance or doing investments since almost everyone i meet simply recoils in horror at the mere mention of “savings” “investments” “protection” or any other key word that you can possibly use. A scary amount of middle aged adults still believe themselves immortal and that they cannot possibly get hospitalized or worse, affecting their ability to provide for their family. Most young working adults simply go from paycheck to paycheck, saving $0 every month and heading straight for disaster the moment a situation calls for usage of emergency funds which do not exist, or they just dump a token amount into their bank account every month that dissapears into the newest xbox or ipod the moment they get enough. Most young working adults do not even have a clue what medishield or medisave is, other than that it is something CPF related. I feel like im constantly rolling dice and seeing if I can get a lucky combination just to find a single interested person. 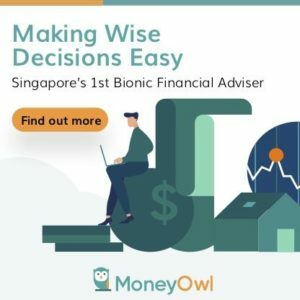 I would like to continue on in this line of advising people on financial planning, but I do not see how as most people simply want to go through life without any financial planning or insurance protection at all. And actually I don’t even know whether what im doing can be considered financial planning anyway.